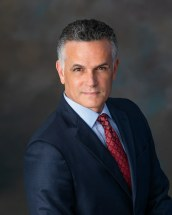 For over 25 years, Mark Leonetti has distinguished himself as a top trial attorney fearlessly representing and pursuing the rights of those injured by the carelessness and negligence of others and those injured at work while performing their work duties. Mr. Leonetti compassionately handles each of his clients with respect and individual attention and is available virtually 24/7 for their needs. As a polished and aggressive advocate, Mr. Leonetti's relentless pursuit of justice has resulted in millions of dollars in compensation collected for his clients.